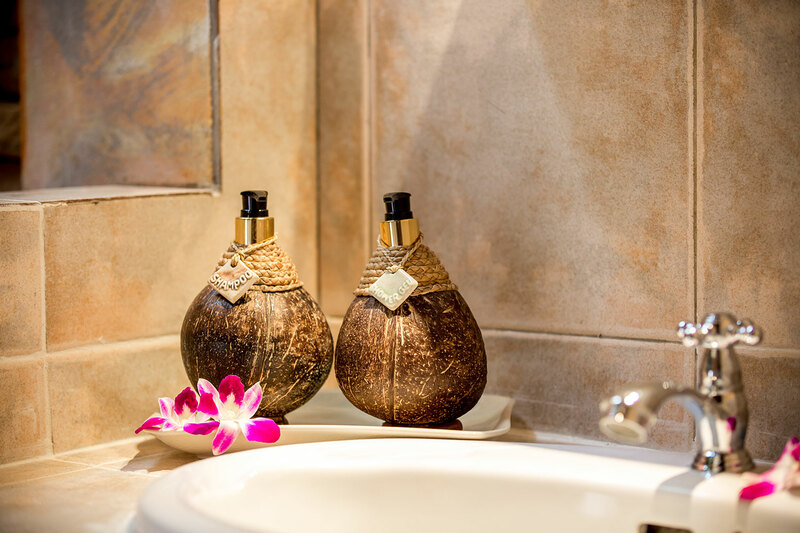 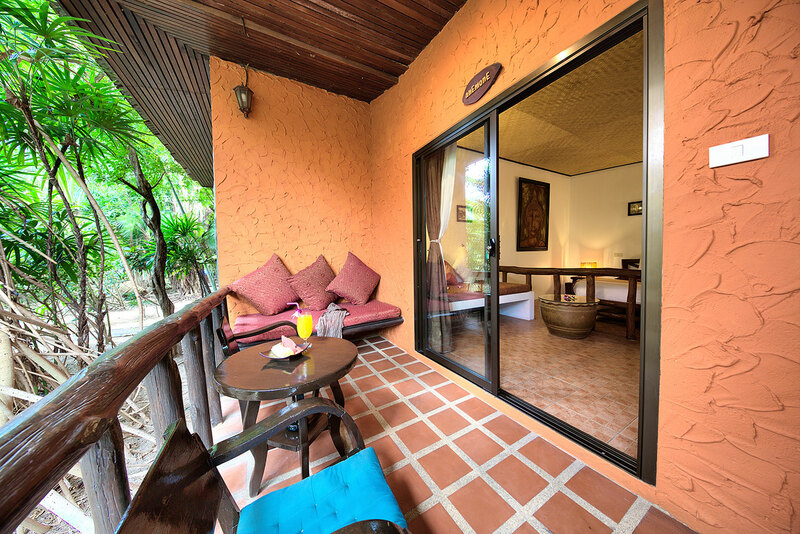 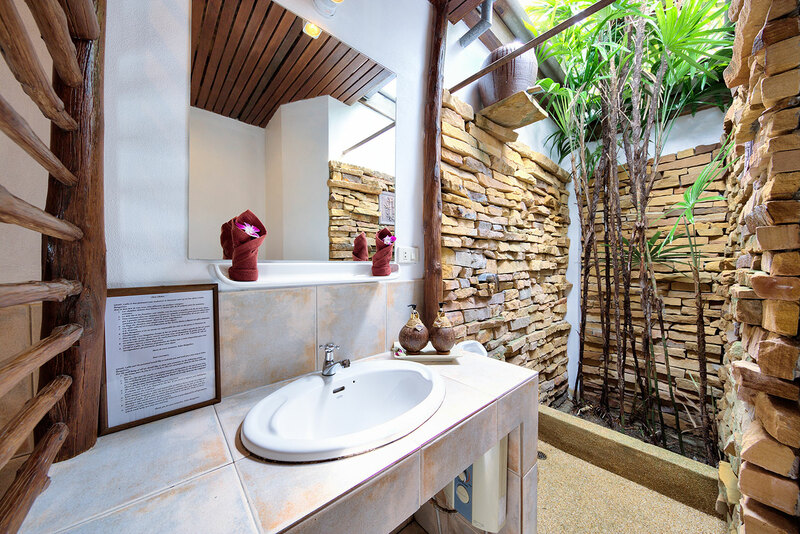 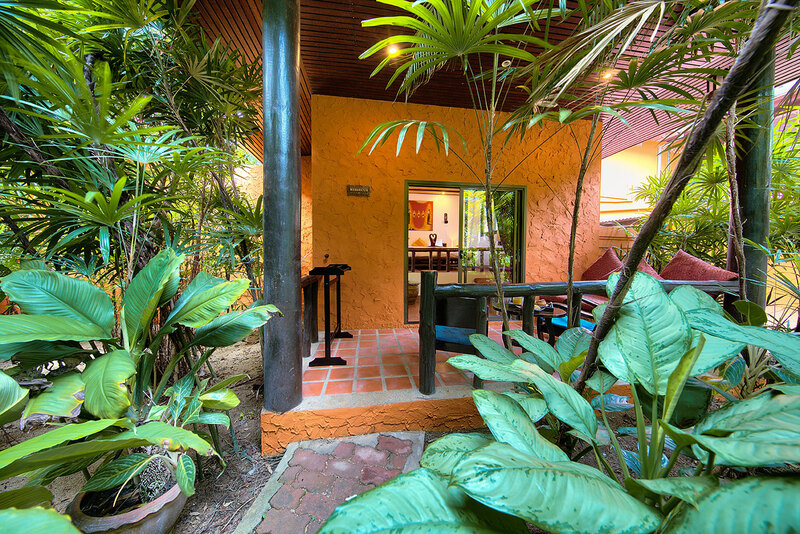 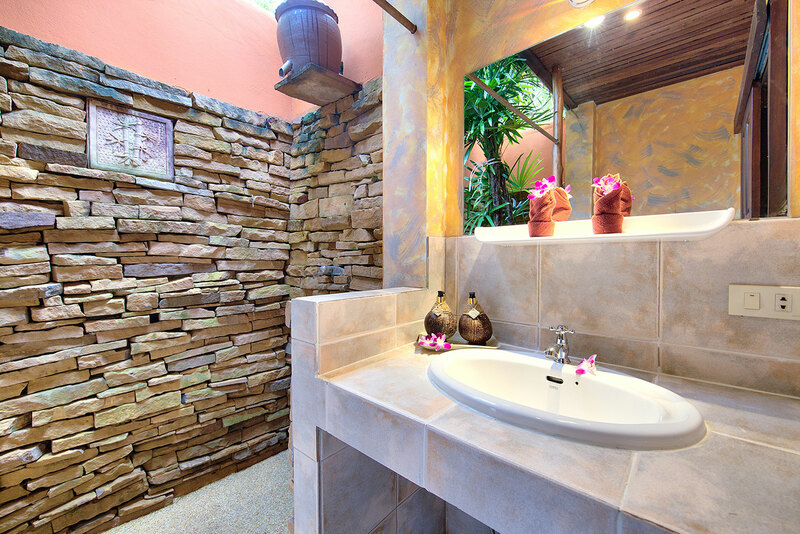 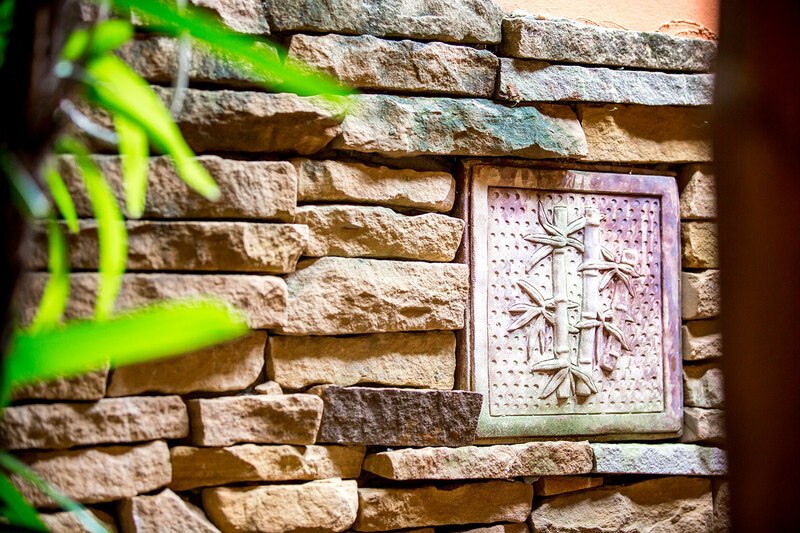 The deluxe bungalows are located amid a leafy and tropical garden. 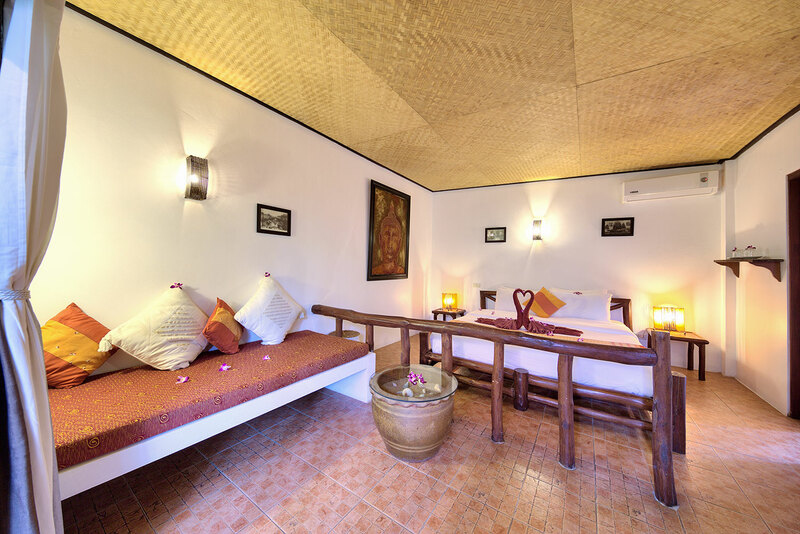 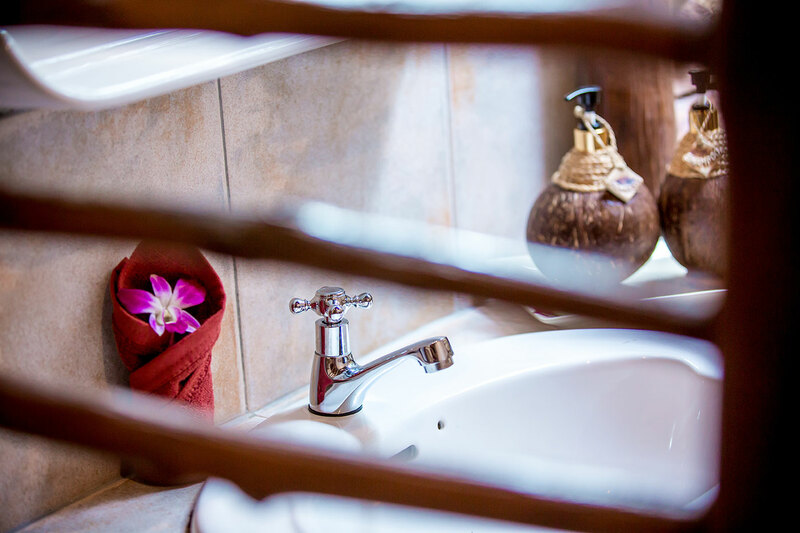 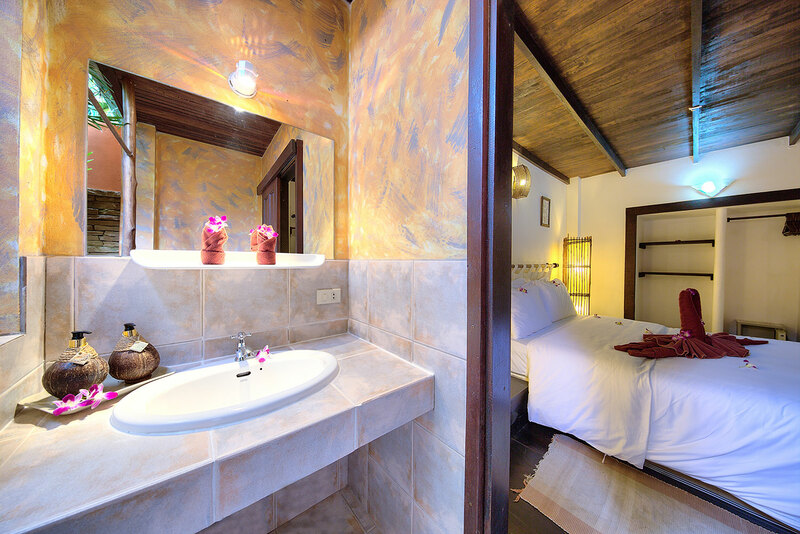 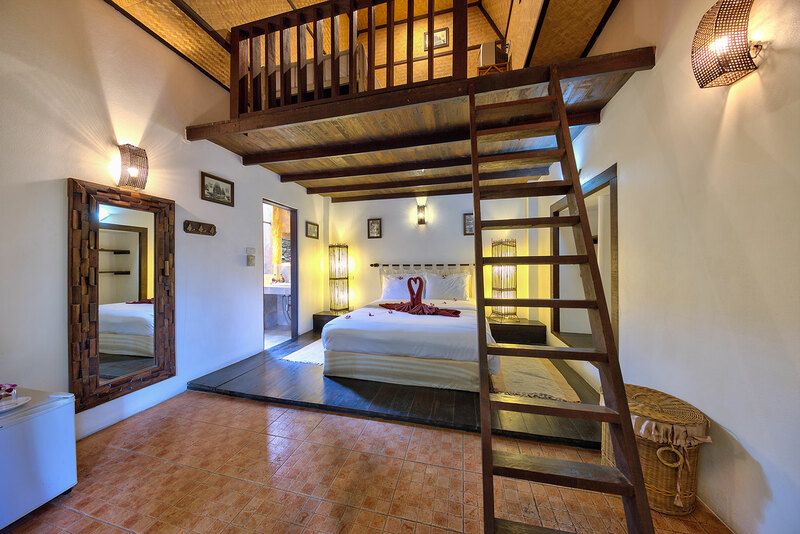 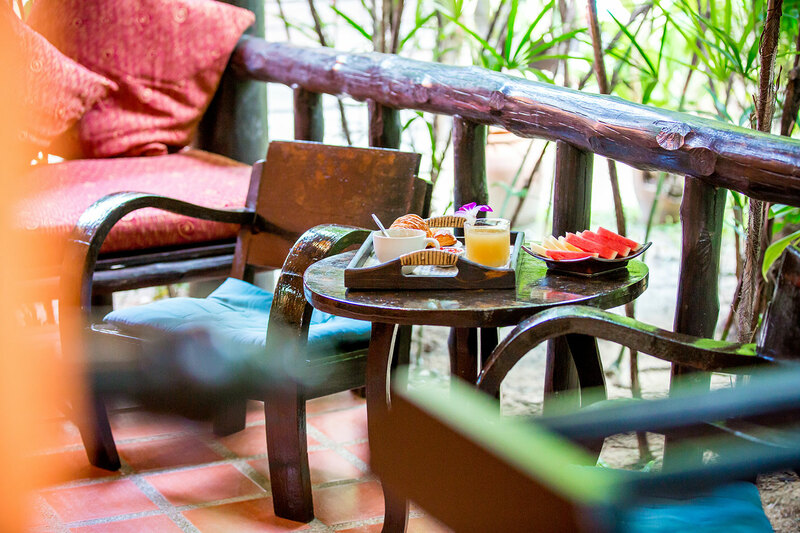 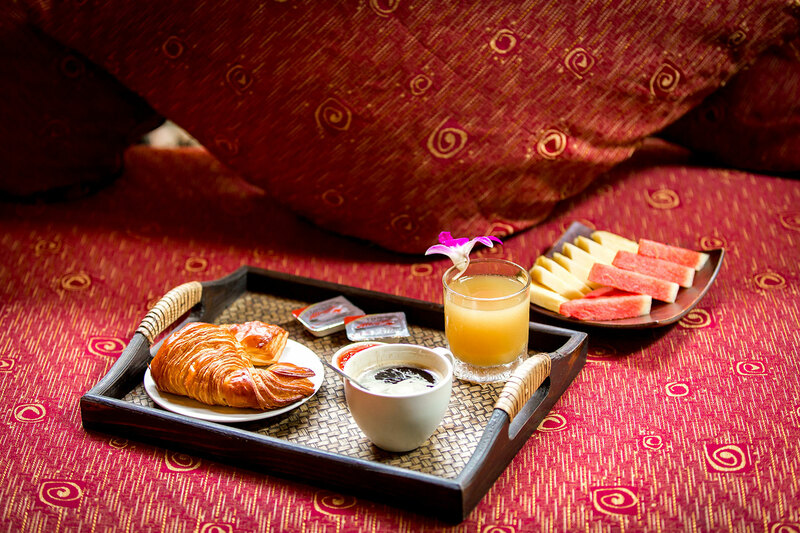 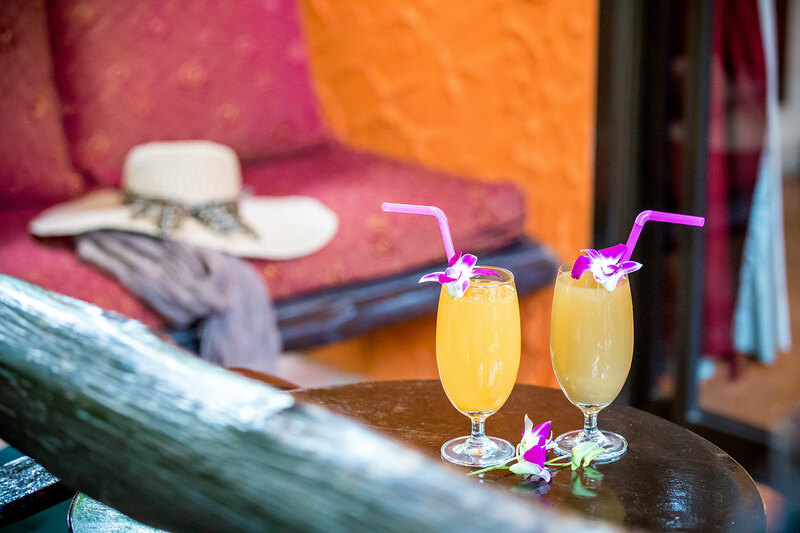 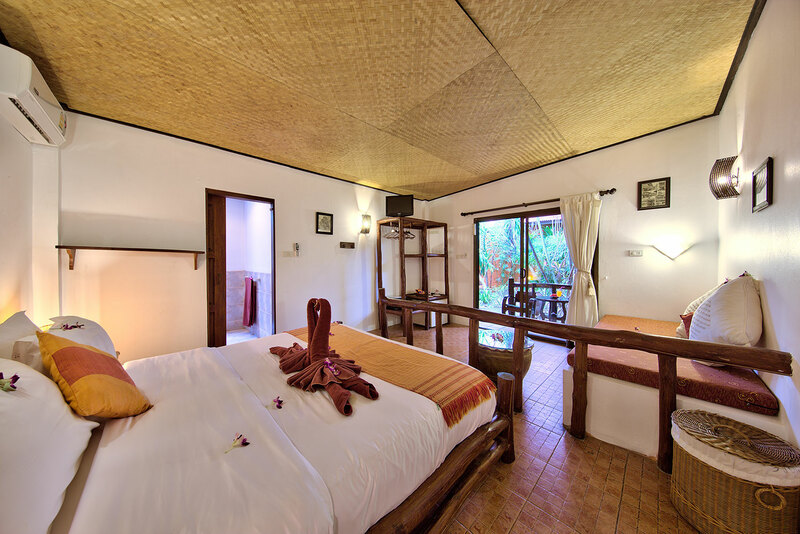 They are spacious and have a traditional Thai wooden furniture and are equipped with air conditioning. 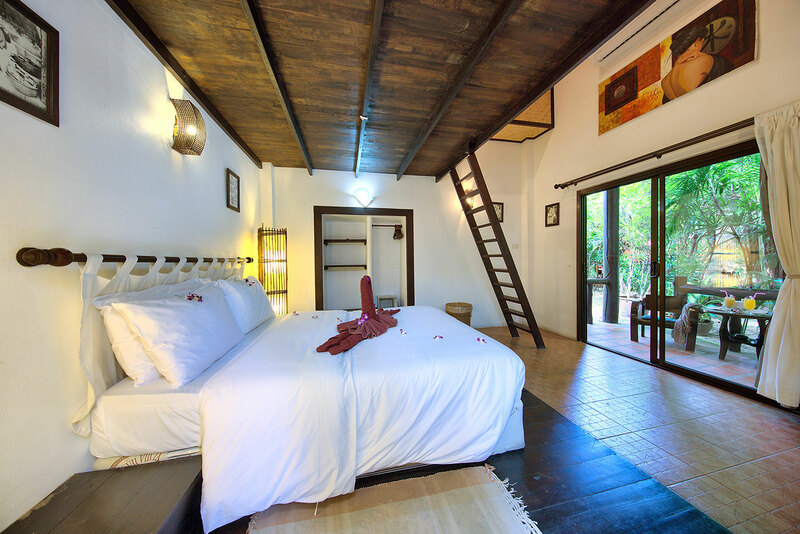 Each one includes a double bed (180x200), a sofa, shelves, wardrobe, flat screen TV, minibar, private bathroom with shower, a safe and a private terrace with table furniture, sofa and chairs outside. 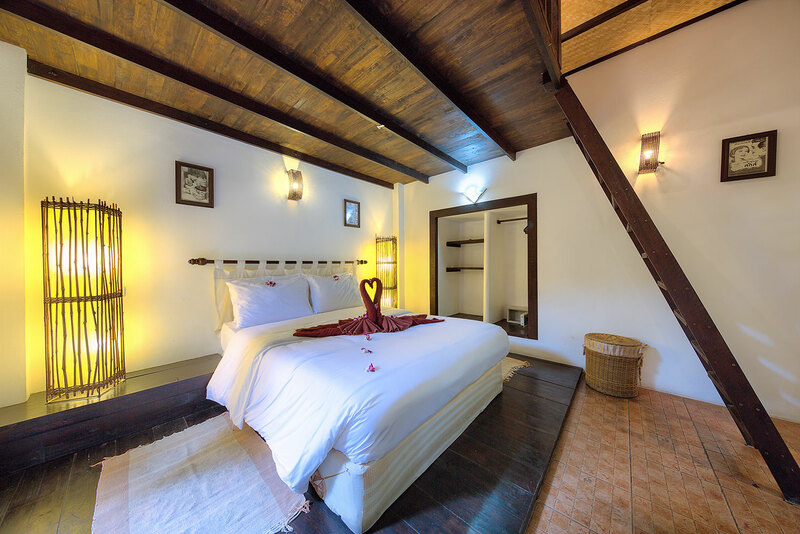 Possibility to add an extra bed on request and extra.